Evaluate how much is your RISK associated with Data LOSS. Your Data is important; take your decision wisely. What is your biggest RISK when you want to recover your lost Data? Your Biggest RISK is, losing your data permanently. What happens if you want to recover data by using a Data Recovery software or by handing over your damaged drive to a data recovery service provider; and suddenly you get to know, that the data which you wanted to recover cannot be recovered. Grim reality of permanent data loss comes in to your mind. When users facing data loss situation often tend to select wrong methods to recover data, which can lead to data loss permanently. Failed or otherwise incept data recovery attempts can cause more damage to your data, and it will make data irrevocable. RISK here is losing data which can be recovered in the first place; if you have selected the right method to retrieve your data. Let's simplify this further for you. If you don't handle your data loss professionally; you can lose your data permanently. a. You may have overwritten the data; since your drive was in regular use after data loss; and you have stored new data on hard drive. Or maybe you have installed new software to recover data on the same drive. This installation has been done on the same partition of the hard drive, where your old data was stored, and now it has been overwritten. You have lost your data permanently. b. Unprofessional handling of your Drive - By someone who you thought to be an expert in recovering data; but unfortunately your expert handled your drive very unprofessionally( For Example, Opening of Hard drive in non-controlled environment or running any unauthorised software on affected drive), and later you are informed "Data recovery is not possible; because your drive is heavily damaged or was tempered." Your data is at RISK when your private and susceptible information goes in wrong hands, due to your negligence while evaluating your data recovery method to recover your data, which can result in financial loss or maybe your reputation goes for a toss. RISK here is of "data breach" unnecessarily because of wrong selection. This is important if data loss is related to you as business. Your data may contain crucial, sensitive information about your organisation's business. e.g. your Customers personal data, your business proposals; your client's details, your financial records etc. Your wrong selection of data recovery service provider; may lead to Data Breach. Your business data may fall into the wrong hands; which can be further shared with anyone. Sometimes intentionally or by sheer ignorance of your data recovery vendor, as the vendor may not have adequate data security measure in the shop. After all, the vendor cannot stop random customers walking in the shop. An important factor that you need to evaluate is "Privacy Breach". The crashed storage media device may contain sensitive and vital information, which you need, and also do not want this confidential information to fall into wrong hands. You may not want strangers checking your moments captured in pictures. The privacy breach is one of the most significant concerns which most of the individual customers have. You don't know, the guy who is recovering your private photos; how he is going to use them. What are the steps he is going to take after handing over your data post-recovery; to erase your data completely from his system? Data and privacy breach are most important factors to consider when you are evaluating the RISK associated with Data Recovery. Every Data loss related to you can be classifed into different categories. Starting from LOW RISK to VERY HIGH RISK data loss. To evaluate your data recovery options we have created a RISK matrix: Answer few simple questions about your data loss situation and we will provide a detailed report on appropriate data recovery option to go for and to avoid RISK of permanent data loss. For any kind of data loss situation, there are many options available for recovering data. From FREE data recovery software, Professional Data Recovery software, to Professional Data Recovery service providers; all can help you in recovering your data. Based upon your RISK category, there are different Data Recovery solutions availbale for you. However, it is very important for you to evaluate all of these options, before choosing any of them. All of these options, have their own merits and demerits. Not very secure - Some free software may encrypt your data after recovery and may ask for some money to decrypt the data. Use a Professional Data Recovery software only in case your RISK category is MOD - LOW or MOD HIGH. A professional software will work just if your data loss is a logical data loss, i.e. Deleted/formatted data loss cases, and your storage media is working fine. Use a Local Data recovery service provider only in case your RISK category is low, and you don't have any concerns related to Data breach & Privacy breach. Also, you are fine if you lose your data permanently and it's not going to impact you personally or professionally. Ease of use - You can avail professional service online. A professional service provider will provide you door step pickup facility. Easy to transact - You can transact easily with a Professional service provider, multiple payment options are available, like EMI's, Net banking etc. Guaranteed Results - You have best chance of getting your data back with Professional Data Recovery service provider. 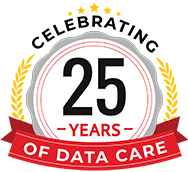 No Data - No Charge policy - A professional Data recovery service provider will offer you "NO Data - No charge", which means if they are not able to recover your data, then they won't charge you. RISK Free Data recovery - There is absolutely no RISK of losing your data, if you are selecting a professional service provider for your need. Data Security and Privacy - There are all procedures and processes in place to ensure that your data is 100% safe and private with a Professional data recovery service provider. Support - Professional service provider will give you regular update about your job mostly for 24x5 or 24x6 hr. Cost - You may find a professional data recovery service as an expensive option. You can use professional data recovery service irrespective of your RISK category. For High and very HIGH-RISK category you should only contact professional data recovery service provider as your first preference. You need to understand for every product/service there is a price which you have to pay. Nothing comes FREE; even if you are downloading a FREE data recovery software, you may have to share your email id/ contact no, which can be used further for any kind of marketing activity. You need to evaluate what price you are willing to pay for your Data. If your Data storage device has failed and your score falls in Very High RISK, High RISK or Moderate High RISK category, you are advised to take safe route for Data Recovery, which is choosing a Professional Data Recovery service provider. (Read here How to Select a Data Recovery service provider). To avoid permanently losing your data, you should give first preference to professional rather than trying local vendors first and keeping professionals as your last option. If your score falls in Low RISK, Moderate Low RISK, you are advised to go for Data Recovery software's solutions. Try Stellar's DIY software solutions. 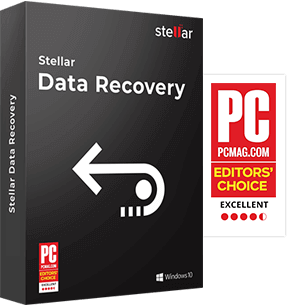 Stellar Data Recovery has the highest (95%) success rate for data recovery in the country. By employing anything less than best practices within the art and science of data recovery, the risk of increasing physical damage to your hard drive's data recording media rises with every single revolution of the disks. Know more about "How Data is Recovered in a Professional Data Recovery center"